Celebrate the friendships that have delighted generations with these magical wall decals. 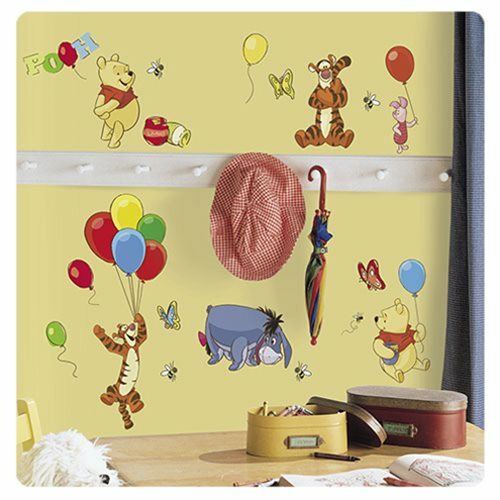 These wall stickers from the Winnie the Pooh series are wonderful for fans of any age. The decals can be repositioned at any time, and will never leave behind any sticky residue if removed. This product is printed on clear material for a "stenciled" look. White or light colored walls are recommended for best results. Decals range in size from 1-inch wide x 1-inch tall to 13 1/2-inches tall x 6 1/4-inches wide. Ages 13 and up.